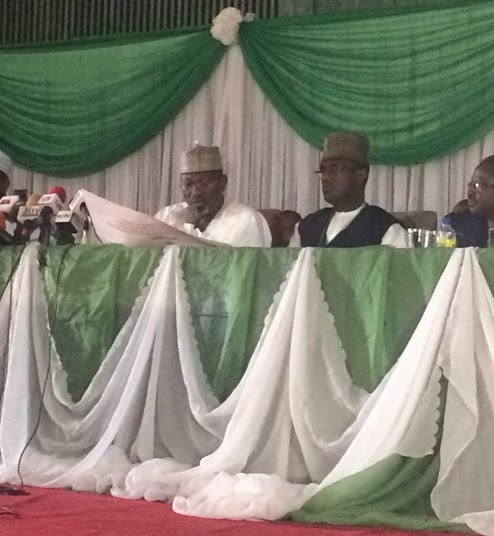 It is official, INEC has concluded the collation of the election results. 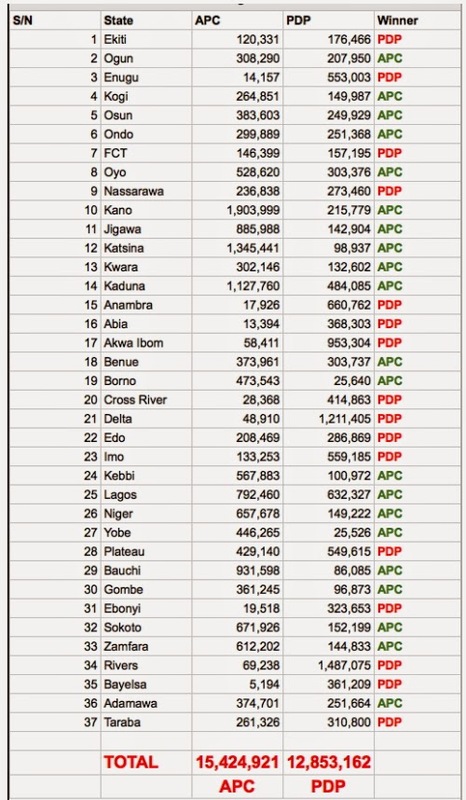 Buhari picked up 21 states while Jonathan picked 16 states. Here are the official results of the just concluded Presidential election in Nigeria. We must be magnanimous in victory but not forget all the back-stabbers like nollywood actors, musicians, fake pastors, paper weight politicians, crooked govt officials and foolish elder orubebe…for their role in this success. They should all be rewarded with career assassination and absolute excommunication for undermining Nigeria. Christians and muslim faithfuls have been praying that peace will reign in this election and there was peace. Many people died even during celebration of Gen. Burial’s victory, how much more if reverse was to be the case. It would have been bloodbath. So God has averted that and also has done what he knows is the best for Nigeria. Glory be to God. It’s been more than three and a half years of PMB and the condition of living is worse off. It’s time for PMB to retire, he has done his best!